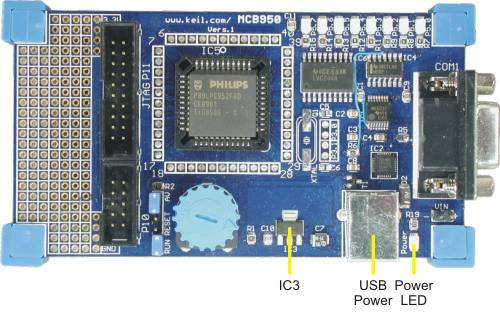 The MCB950 board is a USB-powered device. The voltage regulator (IC3) generates 3.3 Volt DC. The Power LED indicates when power is applied to the board. Caution: Do not attach additional power supplies (such as batteries) while the USB supplies power to the MCB950. This may harm your PC!